Are you trying to reign in your budget after the Christmas spending season? I know you’ve heard me talk about eMeals before, but their new Budget Friendly meal plan is the perfect solution to get you back on track and has gotten me really excited! The just-introduced plan from eMeals stretches the savings they already provided by helping families put dinner on the table for an average of $85 a week—all without sacrificing flavor, variety, nutrition or the cooperation of picky eaters. For as little as $5 a month, you get seven menus delivered to your email inbox and theeMeals mobile app every week, along with recipes and a grocery list covering all seven dinners. And now you can try before you buy. Simply go to www.emeals.com/meal-plans/budget-friendly, then click “Try Us” to sign up for 14 days ’ worth of Budget Friendly menus and shopping lists for free. 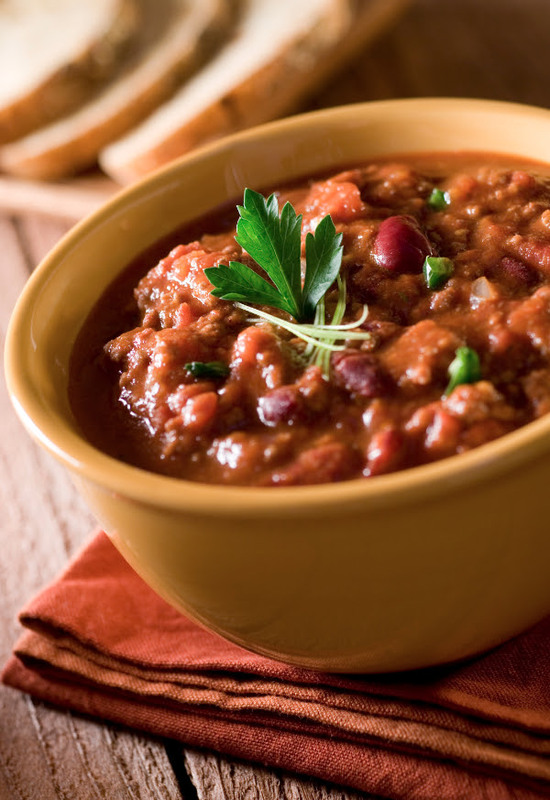 This Smoky Chili recipe from the Budget Friendly plan will have you so glad you signed up! Cook ground beef, sausage, onion and bell pepper in a large Dutch oven over medium heat until meat is browned and crumbly; drain. Stir in broth and all remaining ingredients; bring to a boil, reduce heat, and simmer 30 minutes. Season with salt and pepper to taste.